The all in one drinking game Drink A Palooza combines some old school drinking games with some new school ones. 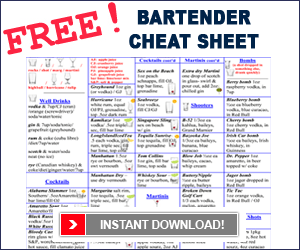 Click to buy Drink-a-Palooza on Amazon. 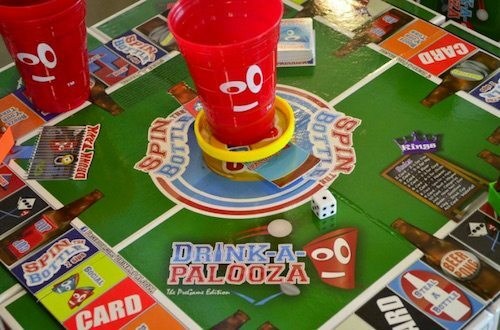 Uhmm, here we are on Christmas Eve and we’re gonna sit down and play this game called “Drink A Palooza.” Alright, so Drink A Palooza is kind of a 5 drinking games in 1 and once you get into the instructions and you just setup your little cup here on top with a little spinner, you empty out these little cases. The object is you actually fill up the cases with beer. Okay, the quick start is really just there is a quick start, right?